Unlike single-stage furnaces which heat up fast and shut down fast, creating noticeable swings in temperature – the ET 96 delivers consistent heat and overall comfort. 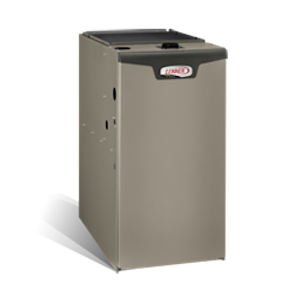 This furnace is designed to take your home to a new level for comfort and efficiency. Features the Observer™ wall control communicating system. When paired with a compatible thermostat, the two-stage heat system operates at lower heat levels for the majority of the time and automatically modulates to higher heat production if temperatures begin to drop. The variable-speed blower motor also helps to increase comfort by maximizing moisture removal during cooling operation. The high efficiency blower can be run continuously to improve indoor air quality. The sturdy steel cabinet is thermal lines and insulated to reduce the amount of heat and operating noise that escapes. A sealed blower compartment, with soft-mount components also reduce the amount of operating sounds. 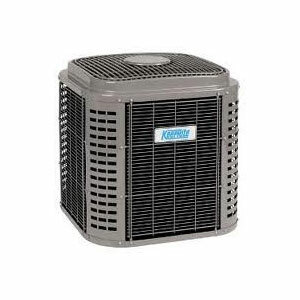 When matched with select KeepRite air conditioners and evaporator coils, the variable-speed blower can also boost cooling efficiency for an increases SEER (Seasonal Energy Efficiency Ratio) rating. 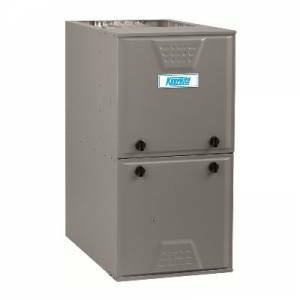 The heart of every furnace is the heat exchanger. The Rigid Press Joint (RPJ®) heat exchanger is designed to increase heat transfer by moving more heat to the outside surface. The weld free design of this unit reduces cracking or separating over the life of the furnace. The RPJ heat exchanger plays a role in boosting the furnaces AFUE efficiency to 96% rating.